Who is more deserving of punishment by the United States? Millions of Egyptians, for ousting the Muslim Brotherhood? Or the Muslim Brotherhood, for habitually terrorizing and murdering Christians, among many other crimes? According to the unmistakably clear actions of the Obama administration, it is the millions of anti-Brotherhood Egyptians who deserve punishment. Last Sunday, the Church of the Virgin Mary in Waraq near Cairo was attacked during a wedding ceremony, leaving four dead and many wounded. 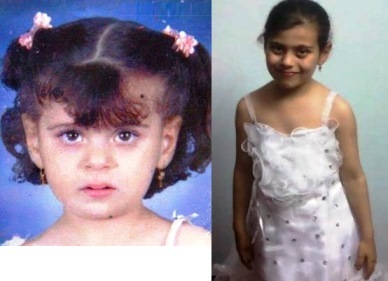 According to Dr. Hisham Abdul Hamid of forensics, two of those who were murdered were Christian children—two girls; two Marys: 12-year-old Mary Nabil Fahmy, who took five shots in the chest, and 8-year-old Mary Ashraf Masih (meaning “Christ”), who took a bullet in the back which burst from the front. It should be noted that this scene—attacked Coptic churches and murdered Christians, especially on holy days and celebrations—has become a normalized aspect of Egypt’s landscape (see Crucified Again: Exposing Islam’s New War on Christians, especially pgs. 42-43 and 56-62). So too are the murders of Christian children increasingly common in Egypt. Indeed, along with Sunday’s two murdered Marys, back in July, another Christian girl, 10-year-old Jessi Boulos, was shot dead while walking home from Bible class. All of these church attacks and murders are a direct byproduct of the Muslim Brotherhood’s incitements against Egypt’s Christians in retaliation for the June 30 Revolution, which saw the ousting of the Brotherhood. Needing someone to scapegoat in order to set Egypt ablaze, Brotherhood leadership—including supreme leader Muhammad Badie, Safwat Hegazi, and Al Jazeera’s Sheikh Yusuf Qaradawi—repeatedly demonized the nation’s Christian minority, leading to any number of atrocities committed against the Copts. Now consider the response of the United States concerning the conflict between Egypt and the Muslim Brotherhood in the context of U.S. aid. For years, human rights activists have been imploring the Obama administration to make aid to Egypt contingent on respect for the human rights of all Egyptians, including Christian minorities. Such a move would dramatically ameliorate the plight of the Copts, since all potential Egyptian governments, including the ousted Muslim Brotherhood, are more interested in securing money than in killing Christians. As for making U.S. aid to Egypt contingent on respect for human rights, that has been out of the question for the Obama administration. And yet, when those who are responsible for the destruction of nearly 100 Christian churches (including an unprecedented attack on the holiest Coptic church back when Morsi was still president) and the murders of Copts and their children finally get ousted by the Egyptian people and their military, it is then that the Obama administration cuts hundreds of millions of dollars in U.S. aid to Egypt—thereby punishing all of Egypt for ejecting the Muslim Brotherhood from power. (In other nations, like Syria, the administration supports the Christian-slaughtering, al-Qaeda linked terrorists). What more proof can any sensible American need to know that the Muslim-named president of the United States of America is in league with Muslim terrorists? Filed Under: Islam, Muslim Persecution of Christians Tagged With: children, churches, Copts, Egypt, Muslim Brotherhood, Muslim persecution of Christians, Obama, U.S.